Potato scab is a potato disease that mainly affects the skins. It’s like acne in potatoes. Now that may sound disgusting. But that’s what it is, sought of. Scabs are caused by a potato fungus called S. scabies. These scabies cause scurfy patches to appear on the skin on the potato. And in a severe attack they cover the entire skin surface of the potato. Potato scab is hurtful to look at especially if you had your heart set on growing great potatoes. However, the flesh of the potato is still good to eat. But…scabs are considered a disease nonetheless and should be treated as such. So it’s wise to take scabs seriously. S. scabies…the potato fungus responsible for scabs, thrive in soil that is sandy and dry. Therefore if this is the soil type you have…then it’s worth re-considering planting potatoes. Or maybe you could think about raised bed gardening. There are a lot of potatoes that are resistant to scabs. And one of the best varieties is the Maris Peer. This potato has a cream-colored skin and its flesh is also cream in colored. It’s also rated very highly in Europe because it’s not only resistant to scabs but also many other potato diseases. 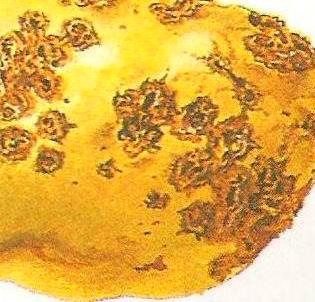 As we learnt earlier…the potato fungus S. scabies prefer dry sandy soil. So by keeping the soil moist at all times is a method resistance. The moisture attracts other bacteria that compete with the potato fungus. And because the S. scabies is no longer in its comfort zone…it will easily be destroyed by the other bacteria. One way of keeping the soil moist all the time is by installing drip irrigation systems. Therefore, you won’t have to constantly visit the backyard to water the garden yourself. I should also advise that you don’t over-water your garden. This may cause potato rot to occur. Thus you can keep the potato bed moist not water-logged. Crop rotation is one of the best ways to avoid scabs. What it involves is simply reaping the potato crop and replanting the site with another type of vegetable. However there may be a few setbacks with this method. Firstly it may be well over 3 years before the site can be planted with potatoes again. That’s because the S. scabies can survive for a long time in the soil. However other crops like alalfa and corn are more appropriate. 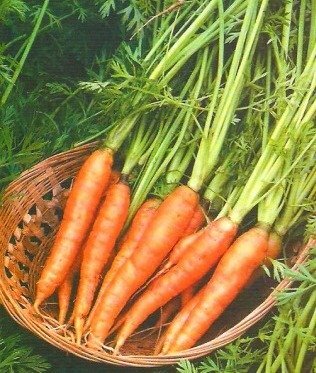 They are also S. scabies resistant and can be substituted in place of the potatoes. Changing the soil acidity is no easy task. And before you do this you can re-consider planting potatoes. 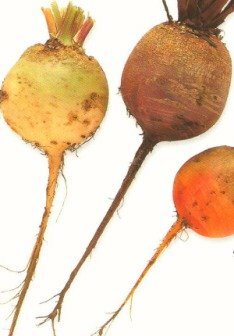 Try planting another crop that fits naturally with the soil type. But if you still want to plant potatoes… Then the safest way to alter the pH would be to dig in compost into the soil. You can use a rotavator to reduce your labor and time when digging the compost in. Check your local hardware or garden tool store. You may get one to rent. Is why we began using organic gardening techniques in the first place. You see…these soluble fertilizers dissolve in water and are drained out of the soil. They also end up in streams and lakes where they’re not wanted. And seeing that the S. scabies are found in sandy soils…then the chances of having the fertilizer drained is higher. That’s because sandy soils don’t hold water. They drain quickly and easily. Thus fertilizers should be avoided especially in this instance. It may be better to avoid growing potatoes in soil that’s sandy and dry. Instead consider growing them in a raised bed garden. In this way you can better control the soil type being used. You can also consider growing them in compost bins, containers or barrels. These methods are quicker and easier and should be given a chance.